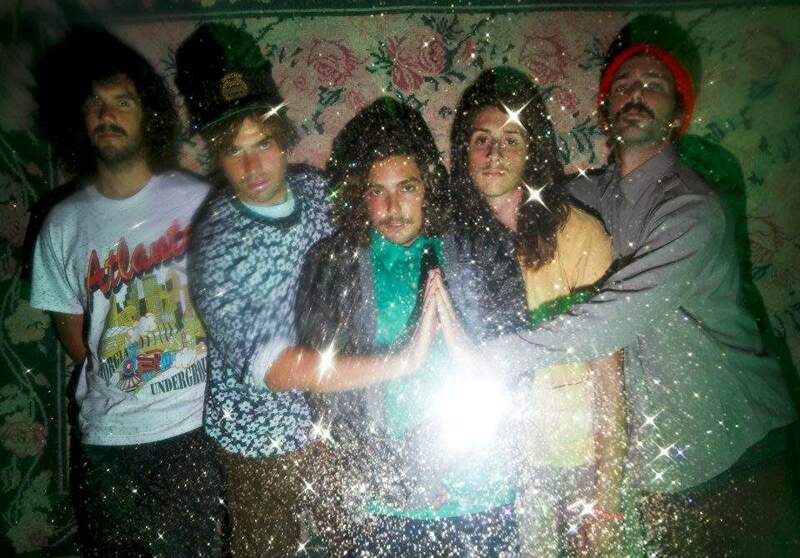 Cult Records is proud to present City Club, the new long player from California scuzz rockers The Growlers. Produced by Cult label head (and frontman for The Strokes) Julian Casablancas in tandem with Grammy-winning engineer Shawn Everett (Alabama Shakes, War On Drugs), the album is a massive step forward for the band, showcasing a richer sound and focused, anthemic songwriting. Things have definitely changed since The Growlers’ last record, Chinese Fountain, released in 2014. Famed director P.T. Anderson cast them in his 2014 film Inherent Vice, in an unforgettable Last Supper-esque pizza party scene that became part of the film’s visual signature. They’ve toured the world multiple times and channeled that energy into their annual Beach Goth festival located in their backyard of Orange County. With a lineup this year that boasts arguably the coolest bill of any of its competitors featuring Bon Iver, Justice, King Krule, Patti Smith, James Blake, TLC among others, the festival will attract 18,000 in attendance with The Growlers headlining both nights. Fan favorites indeed. But back to City Club. High in the hills of Topanga Canyon, California, the City Club demos began as loops on loops, with Matt inspired by his recent forays into the catalogs of weirdo geniuses like Haruomi Hosono, Dwight Twilley and Todd Rundgren. Singer and lyricist Brooks Nielsen then layered on vocal tracks and melodies. “I was really into Afrofunk when we made this record,” says Brooks, “and a lot of English 70s punk I listened to as a kid, particularly when Jamaica was mixing in with all the punk kids.” The band brought the works-in-progress to Shawn Everett’s studio in downtown Los Angeles. Production guidance came from Julian, and the record soon took on a new shape. And what about the name, City Club? It’s definitely real. Located directly across the street from Shawn’s studio, City Club is where the band spent copious amounts of downtime: between takes, before tracking, after hours. It’s on the album cover, with stunning photography by Pamela Littky, and in the beautiful gatefold design by Warren Fu (Daft Punk, Mark Ronson), featuring a cast of characters pulled from the back room bar, guest appearances from the folks that haunted the making of the record. As dark as the album’s lyrical themes may be, the future is looking very bright for The Growlers. New audiences, new exposure, new sounds, new noise. And now with City Club, the beach may be in the distance, but the goth still lingers. It’s a night ride into the depths of Los Angeles, a damaged rear view that rewards with every listen, on the car stereo, in the club, at the festival. Light one up; pour one out. It’s City Club.